I think Eric might die if he knew I had nicknamed his wonderful cello “Cheeto”, but really it’s a compliment. No, it’s not really that orange. In fact, it’s less orange than most similarly-hued instruments. I love it. It’s small in the hand (and in the case), and very balanced. Plus, I really like Cheetos®. One could say that I love them. Nearly as much as I love this instrument. He has my cello for the next few days, and I’m hoping that something works out in trade. Just in case, though: I am accepting applications to be my benefactor. Perks include free cello lessons/recordings for life and my eternal gratitude. I can't resist. I think that the carving on the back of Cheeto's head is neato. A question for you (sorry, I couldn't find an "email me" button): I played cello in grade school and part of high school and now after *cough*-teen years, three kids, and a cross country move, would like to start up again. Where should I start? 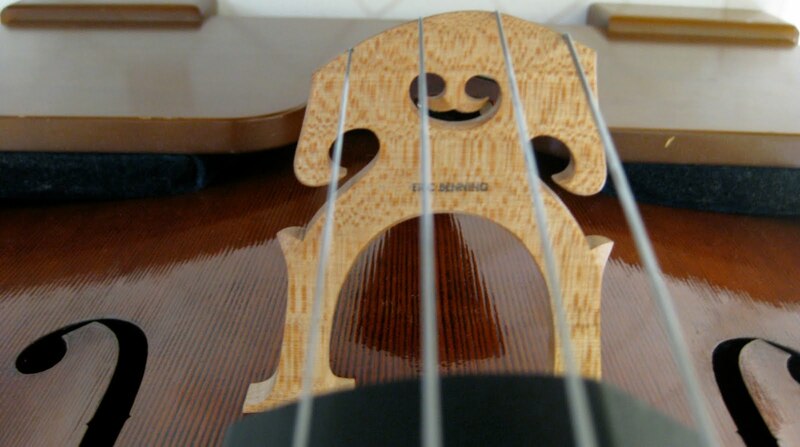 The cello is still in good shape, but the pegs slip so it won't stay in tune. Should I start with scales? Songs I used to play? Hey Monica! Start with taking it in to your local music shop and get some new strings. Since strings are expensive, maybe you should develop a relationship with them just to make sure you can come in and have them manhandle the pegs for you. Otherwise, it's too easy to break $150's worth of strings in a day. 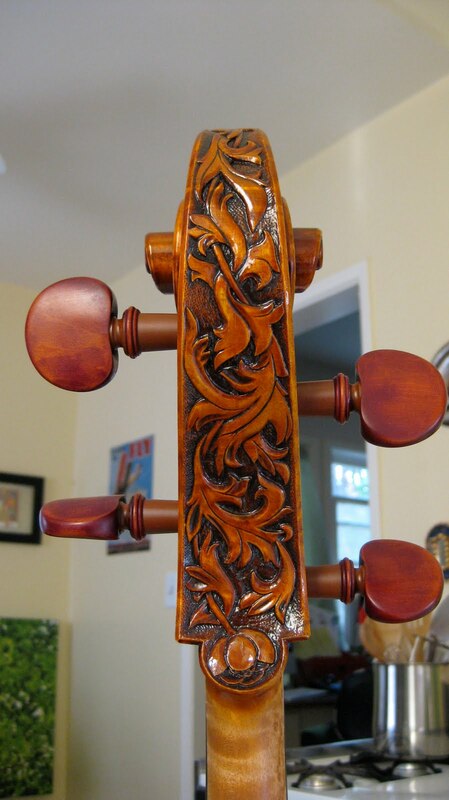 Lovely…is this wonderful orange cello "the one"?